Straight backs are happy backs. 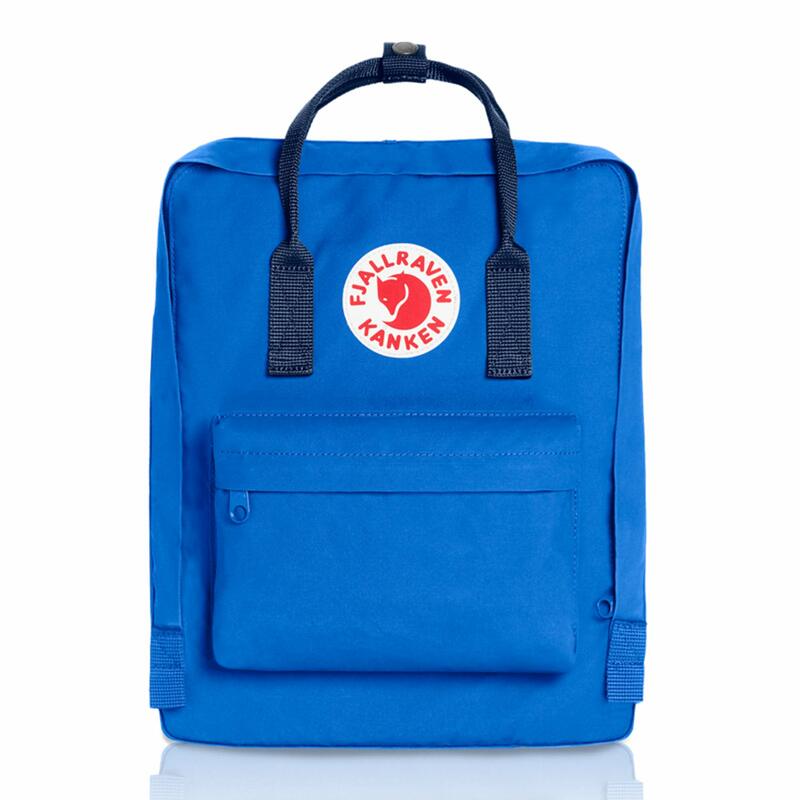 Kanken was launched in 1978 to spare the backs of Swedish schoolchildren, when problems from shoulder bags had begun to appear in increasingly younger age groups. Enter Fjallraven. 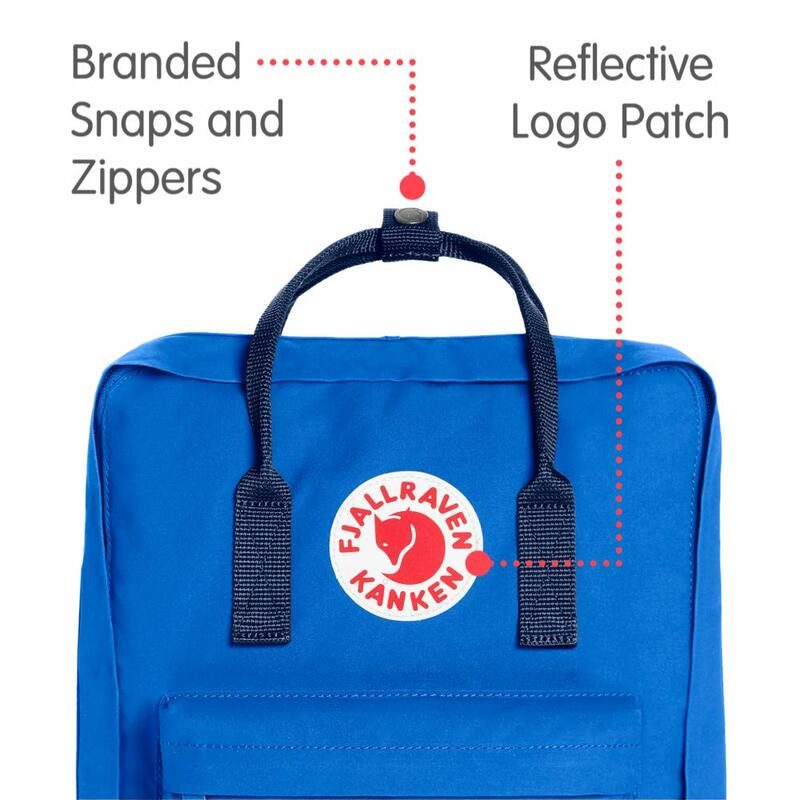 The backpack soon became a common sight at preschools and nature schools around Sweden, and the idea of using a backpack quickly spread, as did Kanken. 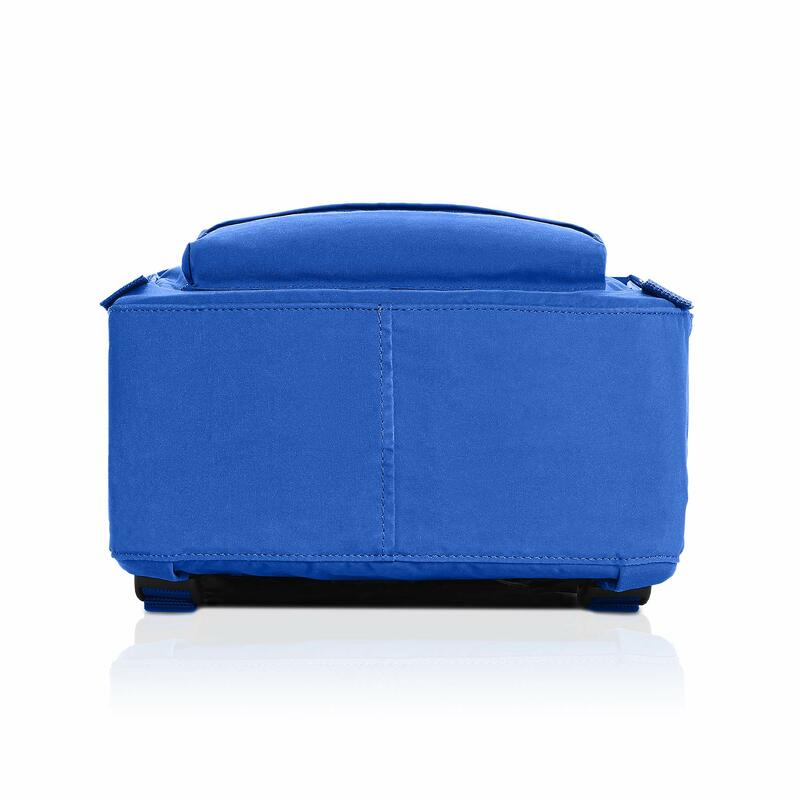 It is just as popular today as it was 40 years ago, and is an excellent choice for school, outings, or biking to work. 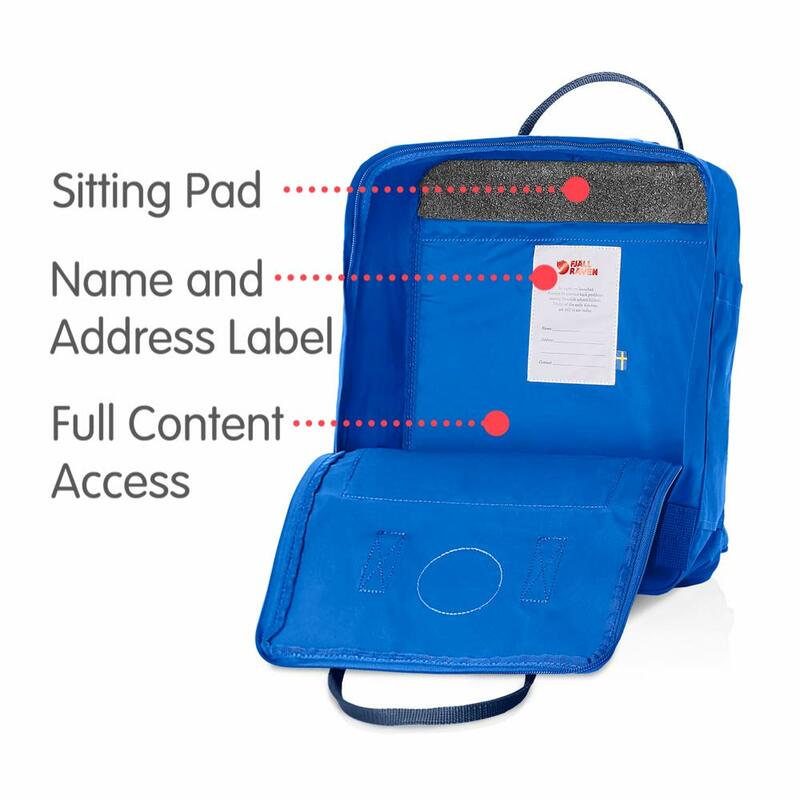 Kanken is made out of durable, lightweight Vinylon F. The roomy main compartment with a large opening makes it easy to put in and take out items. 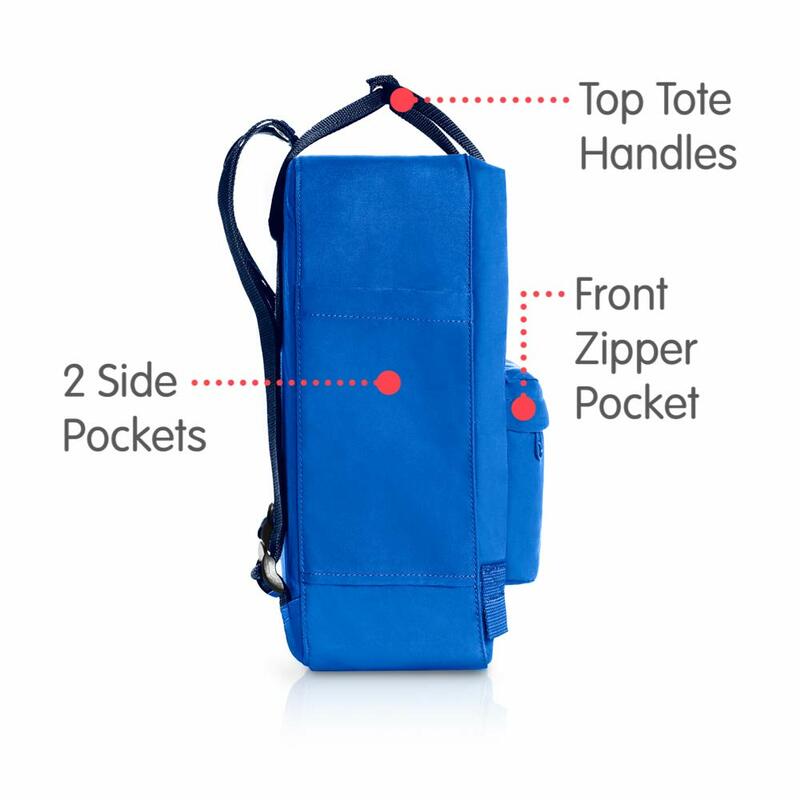 Features two side pockets and a zippered pocket in the front. 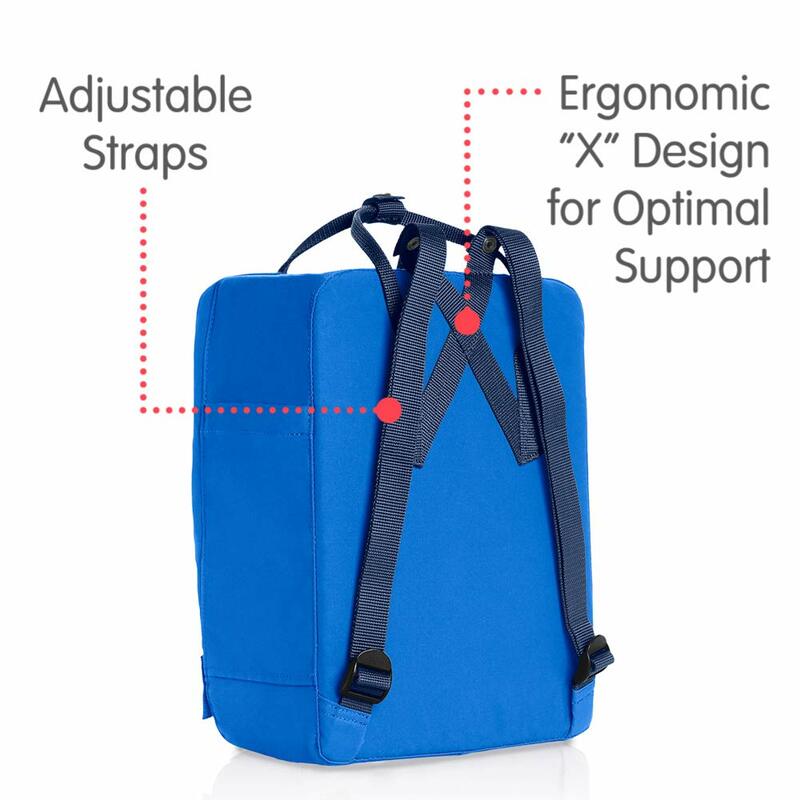 With a handle at the top, narrow, supple shoulder straps, sitting pad in the pocket in the back, and logo that doubles as a reflector, the Kanken Classic is your go-to backpack.